The two major tendons that run along the outside of your ankle are called the peroneal (or peroneus) tendons. 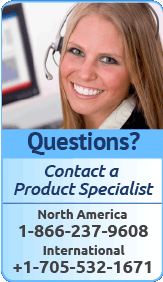 They are known individually as the peroneus longus tendon and the peroneus brevis tendon. The superior peroneal retinaculum and inferior peroneal retinaculum ligaments run over top of the 2 peroneus tendons holding them close to the heel bone. The peroneal tendons are important tendons because they prevent the foot from rolling and causing a lateral (inversion) ankle sprain. The peroneus longus tendon and the peroneus brevis tendon are slightly weaker than the muscles and tendons on the inside of the ankle and are more prone to injury. Tearing or dislocation may occur in one or both of these tendons. 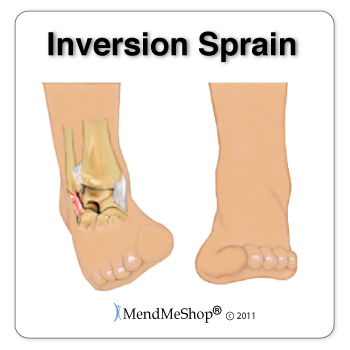 This leads to pain, swelling, sensitivity and a sense of instability on the outside of the ankle. They can also pop out of the supporting ligaments that hold them in place (a dislocation). 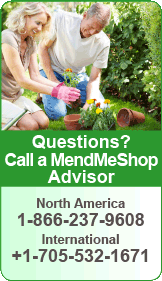 Once this occurs, continuous or recurrent dislocation and tearing is inevitable without immediate attention and repair. Stitching and at the worst, tendon replacement may be required for patients suffering from torn or dislocated peroneal tendon(s). Peroneal tendonitis (also spelled tendinitis) is the inflammation and irritation of one or both of the peroneal tendons. Like all forms of tendonitis, peroneal tendonitis is a condition that may flare up and subside over a period of time. Peroneal tendinitis is usually caused by repetitive use of the tendons, but can also be caused by trauma such as a rolled or sprained ankle. Little tears in the peroneus longus tendon and the peroneus brevis tendon irritate the tendon fibers resulting in pain and inflammation. Peroneal tenosynovitis is swelling and inflammation of the peroneal tendons' sheaths (or coverings) which prevents the tendons from gliding smoothly within the shealths causing pain. It can be experienced at the same time of peronial tendonitis, and has similar symptoms. It often results in trouble moving the ankle and will feel sore to the touch. In rare cases, tenosynovitis can be caused by infection, so it is always recommended to check with your doctor to rule this out as a cause. Pain and/or swelling along the tendon and possibly up the leg along the fibularis longus muscle during or after activity. A burning sensation along the tendon. Pain either first thing in the morning or at night. Stiffness in the foot and trouble stretching the area. 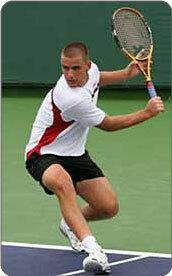 People who play sports or do activates that involve repetitive ankle movements. People who participate in activities such as running on uneven surfaces, racket sports, basketball, hiking, or skiing. People with high arches in their foot. People in aging populations, because our tendons lose elasticity and become brittle. Allowing your peroneus longus tendon and the peroneus brevis tendon to rest is always recommended following a tear or dislocation. Having said that, however, some careful movement is required to prevent the joint from freezing and losing range of motion. Avoid all activities that may have caused the injury or irritation and begin cold compression treatments as soon as possible. 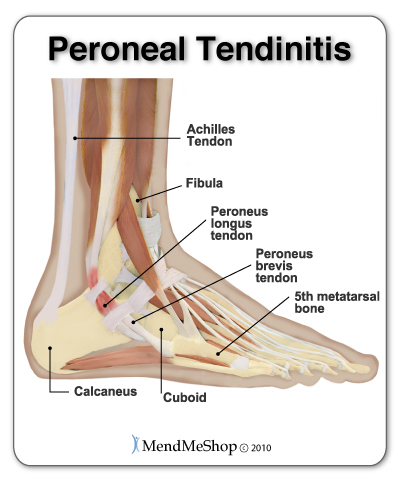 The peroneal tendons are difficult to rest completely as they are essential tendons for walking and daily activities. 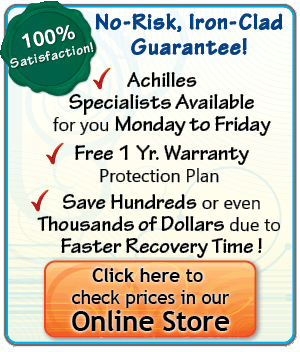 During your recovery, you will probably have to modify and/or eliminate any activities that cause pain or discomfort in your ankle until the pain and inflammation settle. The trick with any tendon injury is getting your tendon back in the best possible condition you can. 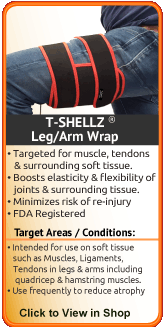 This means getting it to heal quick to minimize scar tissue growth, and this is what our T•Shellz Wraps are designed for! Even with optimum healing, there is always less elasticity in a previously injured tendon. This will cause your peroneal tendon to hurt during regular movement and exercise. However, if you heal your injury efficiently and quickly, your chance of re-injury later on is much lower than average. Although steroid injections may provide temporary relief from the pain of a tendon injury they should generally be undertaken with caution as they weaken the tendon and may lead to a complete rupture. If you do opt for an injection, doctors usually recommend that you do not participate in strenuous activities for several weeks to reduce the risk of a rupture. Inflammation is the body's natural response to an immediate tendon injury and is a normal part of the healing process - helping to reduce tissue infection in the early stages of injury. 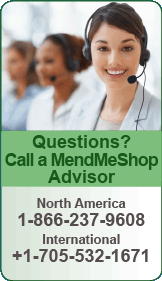 Swelling, pain, heat sensation, redness, and loss of function are the main symptoms experienced. Once the inflammation in your peroneal tendon has been reduced, nourishing and strengthening the tissue in the ankle and surrounding area is recommended. 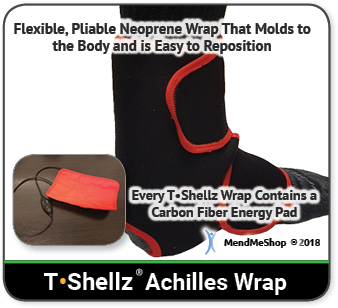 By treating your ankle with an Achilles T•Shellz Wrap® you can increase your body's blood supply to your peroneus longus and the peroneus brevis tendons and increase your body's natural healing power. 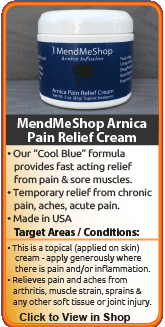 In addition, the fresh blood flow whisks away dead cells and toxins that have built up from tendonitis and tissue damage leaving the area clean and able to heal faster. 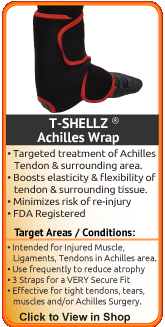 Our Achilles TShellz Wrap provides effective, non-invasive, non-addictive pain relief and healing with no side effects. 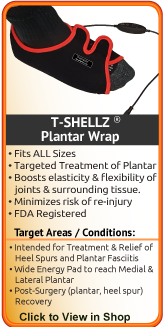 The best option we came across in our research to accomplish faster healing of soft tissue injuries in the peroneal tendon is the AchillesT•Shellz Wrap®. 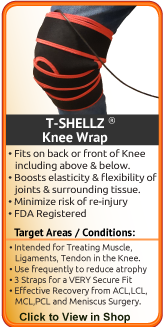 Use of this device results in a significant increase in blood flow to the injured tissues located deeper within the body - all in a non-invasive manner. Have you seen what happens when you add water to a flower wilted from drought? In essence, your injured peroneus tendons are much like "wilted" flowers; your body wants to heal the tendons, but needs lots of nutrients to do it. Blood brings new life to your cells by delivering healing nutrients and oxygen that are vital to your tissue. In addition, the blood carries away toxins and cellular waste cleaning the area and healing it faster. Without a good supply of blood, your ankle simply won't heal as quick as you would hope.